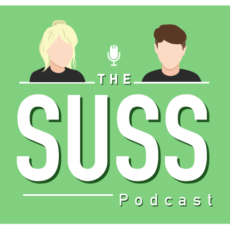 "Power women, Politics and Pro- choice policies with Andrea Horan"
On this weeks episode of The Suss Glenn and Steph are joined in studio with Andrea Horan who is a Dublin based entrepreneur, Ted Talker and Abortion Rights activist. We chat about the economy and who it's really serving, the psychology behind why success is equated with expansion, feminism and why we are all social influencers. Plus we deep dive into the challenges facing the pro-choice side of abortion referendum, why having empathy is such an important factor with a sprinkle of political commentary thrown in for good measure.